The audiologist will inspect your ear canal to make sure there’s no blockage prior to testing. The audiologist will perform tympanometry where a probe with a soft plug is placed in your ear. 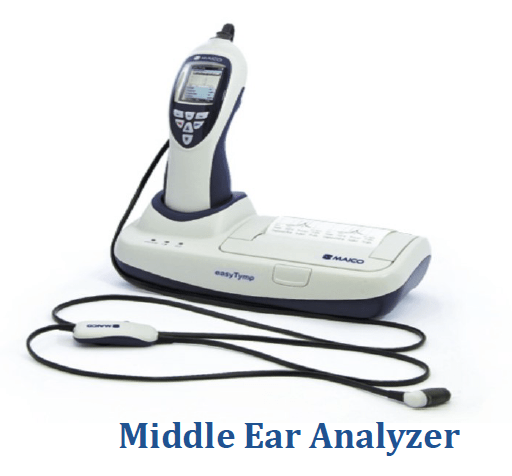 A middle ear analyzer is utilized to assess the function of the tympanic membrane (eardrum) mobility or pressure behind the eardrum and acoustic reflexes. You will feel some slight pressure and you may hear a humming sound during tympanometry. During acoustic reflex testing, a soft probe similar to tympanometry is used. A higher stimulus is presented to measure the stapedius muscle response. The stapedius muscle contracts in response to an intense signal. The audiologist will instruct you to respond to the tone and speech tests. Tone and speech testing are performed to evaluate one’s ability to hear tones and recognize words or repeat words back at comfortable levels. Bone conduction testing is done by using a bone oscillator behind the ear on the mastoid bone or on the forehead. The bone conduction test evaluates the function of the inner ear system. At Roseville Diagnostic Hearing Center, we make sure that you have a thorough diagnostic test to assess your hearing since your physician or otolaryngologist will also base their clinical judgment and recommendations based on your results. 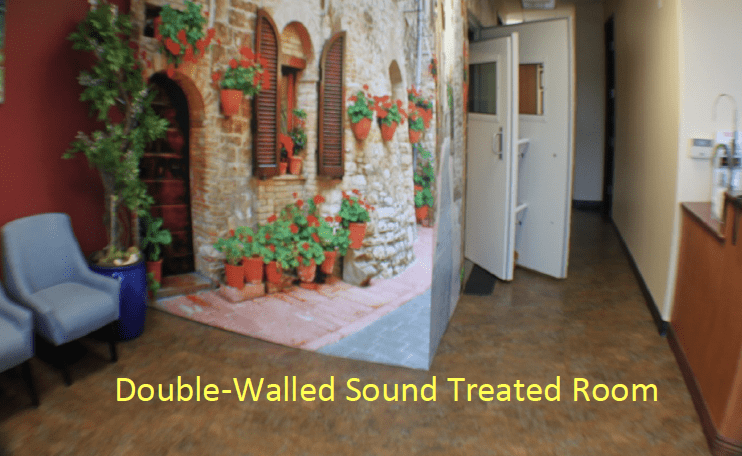 You will be tested in a double-walled sound proof booth under headphones, insert earphones or use of soundfield testing. You will hear different tones and asked to repeat words. You are more than welcome to bring a spouse or significant other with you in the audio booth. There is enough space in the booth to accommodate you and your guest. It has an easy wheelchair access.